The Walking Dead Sword, Michonne Official Replica © AMC Film Holdings LLC. 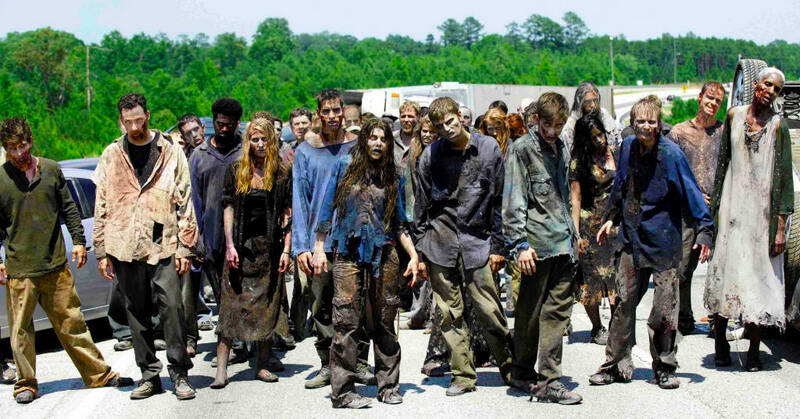 Officially AMC Licensed, Replica Katana from the hit TV Series The Walking Dead. Comes with Certificate of Authenticity. 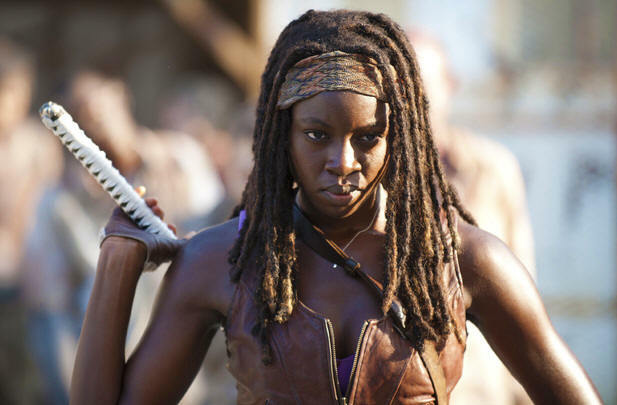 The chosen weapon of the Nubian Zombie Killer, Michonne slices and dices through the undead with ease. Now you can own a piece of history. 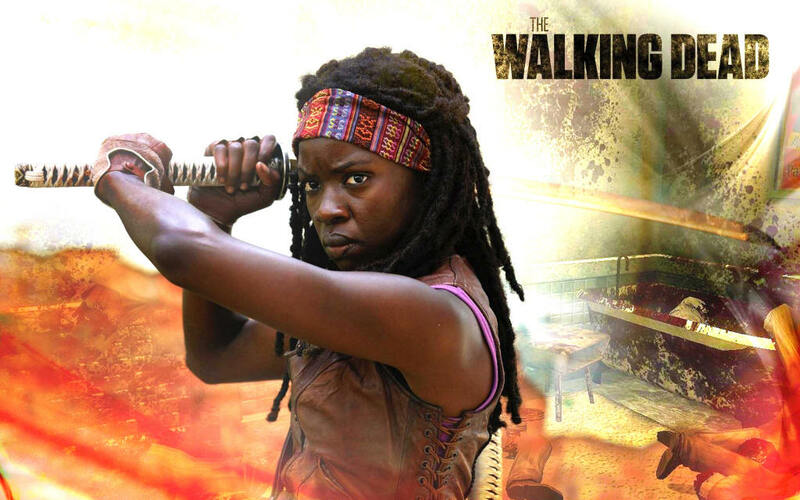 Michonne (pronounced Me-Shone), intimately referred to by fans as the Samurai Girl, has proven to be one of the most lethal battle-hardened walker assassins on the hit AMC series The Walking Dead, and her weapon of choice is a japanese katana. 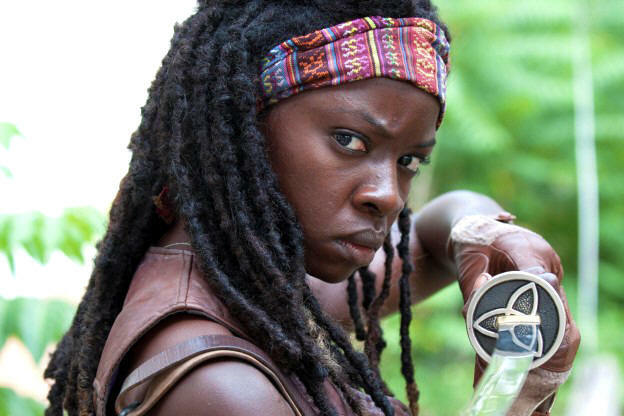 Michonne's katana sword has been replicated from the original prop design used by Michonne in the series. Featuring a 1045 high carbon steel blade this sword is not just a wallhanger. Full tang and battle ready, this replica of Michonne's sword is built for functionality. 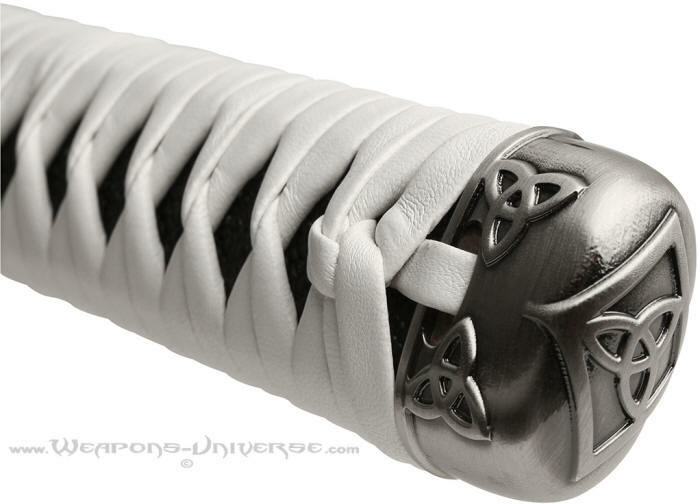 The handle is wrapped in white leather and authentic black rayskin. 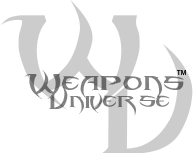 The metal furniture on the sword was replicated from the studio prop. The wood sheath is wrapped in brown leather with white leather overwrap and has a leather strap for carry. This sword comes with a Certificate of Authenticity that verifies it is a licensed replica, not a cheap knockoff. Get yours while they last! Walking Dead Michonne Sword Features: - Tempered 1045 carbon steel blade, metal tsuba with Celtic style symbol, synthetic leather wrapped scabbard - Officially licensed - Blade: 27" - Overall: 40.5". This box weighs 6 pounds, extra shipping applies.